Every year, I wait patiently for winter to arrive. Not because I am particularly fond of the season or anything – though Bangalore does get extremely pretty in the winters – but because the cold months bring with them an abundance of gorgeous, fresh produce. One of the winter delights I eagerly look forward to are fresh green chickpeas, aka choliya or hara chana. They seem to scream ‘WINTER’ to me! Separating the hara chana pods from the stems, and then shelling them, is a pain of a task, one that can run into more than a couple of hours. When the entire family pitches in, though, sitting on a mat in the afternoon sunshine, the chore of shelling becomes much more bearable – pleasant even. It becomes much more than a household task then – it becomes a family bonding activity. And the beautiful taste of the fresh chickpeas is so totally worth all the effort! Hara Chana Kadhi or Choliya Kadhi is one of the things I most enjoy making with the shelled fresh green chickpeas. I do make a whole lot of other dishes with them, too, but this is one of my most favourite. I make the kadhi the Punjabi style, serving it with piping hot phulkas or parathas and a vegetable side dish. It tastes absolutely delicious, the green chickpeas adding a lovely texture to the kadhi. Ah, the bliss! Today, I present to you the recipe for Hara Chana Kadhi or Choliya Kadhi, the way I make it. 1. Take the curd in a mixing bowl. Add in the water, curry leaves, salt to taste, turmeric powder, red chilli powder and gram flour. Slit the green chillies length-wise, and add them in too. Mix well. Keep aside. 2. Pressure cook the green chana, without adding any water, for 3 whistles. Let the pressure release naturally. 3. Peel and chop the garlic cloves very finely. Keep aside. 4. Take the curd mixture in a large pan, and set it on the gas. Add the pressure-cooked green chana to the pan, without any water. Cook the mixture on medium flame till it comes to a boil, 3-4 minutes. Then, lower the flame even more, and let simmer for a minute or so. 5. Meanwhile, get the tempering for the Choliya Kadhi ready. Heat oil in another pan, and add in the mustard seeds. Let them sputter. Now, lower the flame to medium. Add in the asafoetida, fenugreek seeds and cumin seeds, and let them stay in for a couple of seconds. Add the dried red chillies and the finely chopped garlic. Let them stay in for a couple of seconds. Switch off gas. 6. Transfer the tempering to the Choliya Kadhi simmering in the other pan. Mix well. Switch off gas, and mix in the finely chopped coriander. Done! Serve the kadhi hot or warm alongside rotis/parathas/rice. I used home-made curd that was thick, but not overly so. So, I added only about 3/4 cup of water to 2 cups of curd. If you are using store-bought curd that tends to be quite thick, you may add more water. Adjust the quantity of curd and water you use, depending upon the consistency of the kadhi that you require. Use curd that is slightly sour, but not overly so, for best results. You can use ghee for the tempering, instead of oil. The garlic in the tempering can be skipped, if you do not want to add it. Personally, I think it adds a lovely flavour to the kadhi, and must not be skipped. A bit of coriander (dhania) powder can be added to the kadhi, too, along with the other ingredients. I usually don’t. Make sure you do the tempering on medium flame and that it does not burn. Otherwise, it might alter the taste of the Hara Chana Kadhi. You can use dry green/black chickpeas (chana) to make this kadhi too, instead of fresh green chana. In that case, soak them overnight, then pressure cook them in enough water, drain out the water and add only the chickpeas to the curd mixture. Here, I have used choliya/hara chana/fresh green chana that are in season right now. I pressure cooked them without any water, as they were quite tender, and added the same to the kadhi. Make sure there is no water in the pressure-cooked chana you add to your kadhi, as this may dilute it and alter the taste. This post is for My Legume Love Affair (MLLA) #124, an event conceptualised by Susan of The Well-Seasoned Cook and hosted by Lisa of Lisa’s Kitchen. Participants are required to prepare one vegetarian recipes in which a legume is the star ingredient, and link up to the event. This month, MLLA is being hosted by Heta of The VegHog. I decided on this Choliya Kadhi or Fresh Green Chana Kadhi for the month’s event. I’m also sharing this recipe with Fiesta Friday #258. 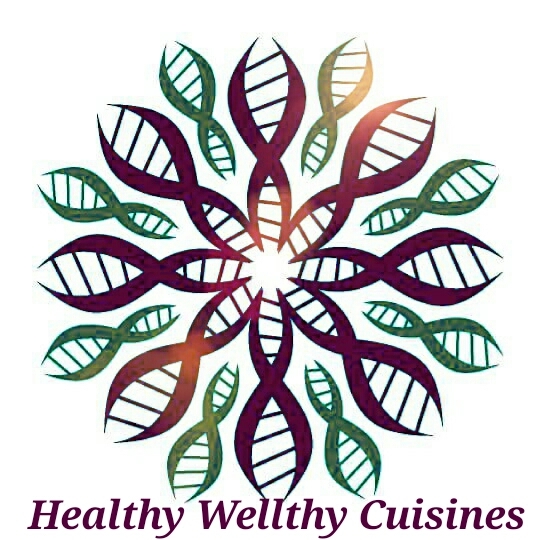 The co-host this week is Laurena @ Life Diet Health.